The market is high on speculations that the Chevrolet Sail will be the car that is going to replace Aveo U-VA as the premium hatchback offering from the company in the Indian auto market. The Sail, minus all its body fittings except for its ‘Badge’, has been recently seen doing test rounds. What can easily be assumed by seeing this model is that it does not differ much from the model, which is being phased out. The interiors cannot be commented upon much, as they were not very clearly visible. However, expectations are on that the vehicle could be given a 1.2 L or even possibly a 1.4 L petrol engine. A diesel engine variant is also going to be there but its capacity is yet to be ascertained. It has been rumored that the Company is considering having the 1.3 L diesel engine of the Fiat. No details on pricing or any other specifications of the Chevrolet Sail have come out into the public forum as of now. 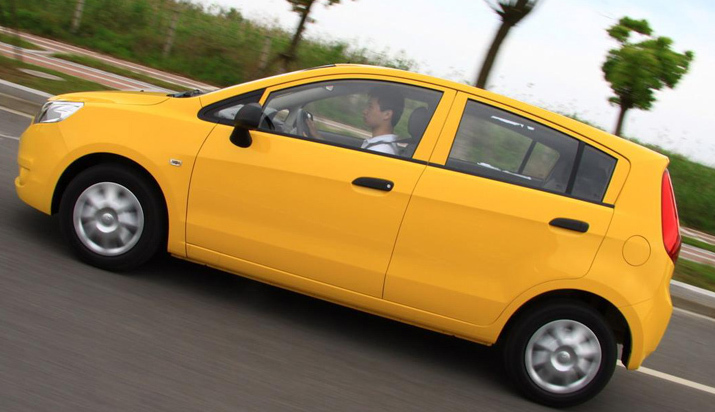 The Aveo, since its launch, has not been made subject to any major changes; this however does not indicate that the vehicle has been driving huge volumes. Since its very launch, the Aveo has enjoyed only a mediocre level of success in the hatchback segment. The auto major has quietly gone about its task of identifying the present scenario as being the ideal for its reviving its market share in the hatchback segment. The car industry is already burdened with a lot of launches planned in the near future and Chevrolet has now contributed its bit towards spicing up the market. News that is creating a lot of hype is the plans of General Motors to come out with another sedan-like vehicle in the near future. All these developments help us understand logically the strategy that General Motors is following. In order to compete effectively against rival brands like Tata Manza and Maruti Swift Dzire, they have taken up an aggressive approach aimed at boosting their sales and market share by coming out with these new launches. The Chevrolet Sail has been developed for the Indian domestic automobile market whereas the supposed new sedan-like vehicle could be made available in the Chinese market in both hatchback and sedan variants.